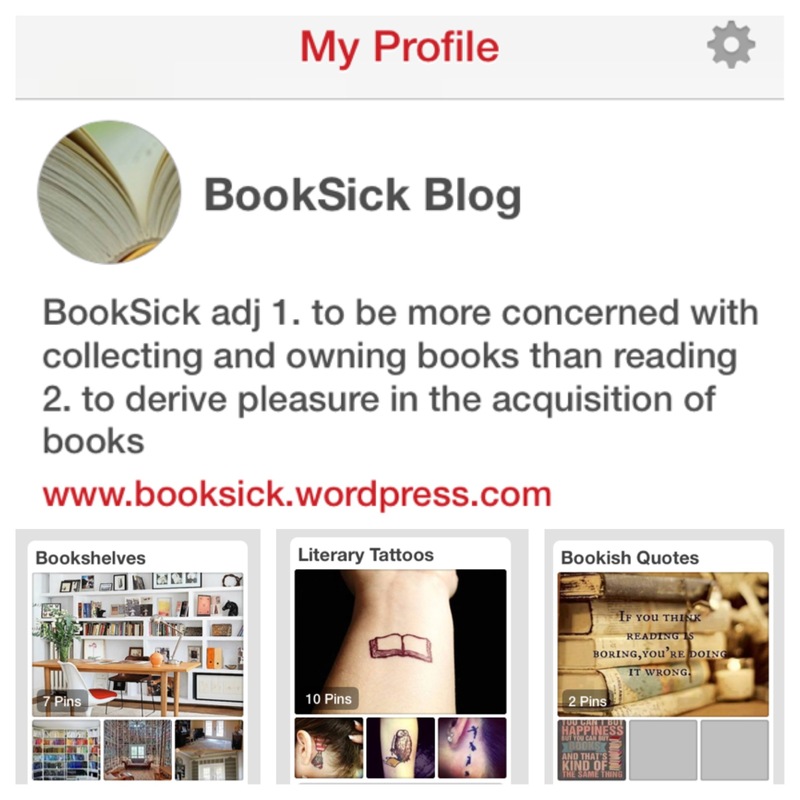 BookSick is now on Pinterest! There you’ll find (awesome) bookshelves, (neat) little quotations, and (inspiring) literary tattoos… And much more as I settle in continue developing and pinning like a fiend. I’m going to take some time to go through my old posts and pin those entries on a special Blog Posts board too, but that’s several years of entries in the past, so it may take some time! Rest assured, I am fervently reading several books at the moment and reviews will be coming soon… Not just on THIS blog, but I’ll be making a guest appearance on another blog in the near future! Stay tuned!